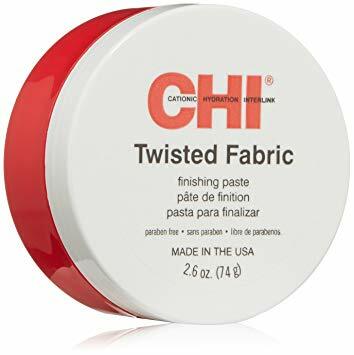 CHI Twisted Fabric Finishing Paste allows you sculpt, mold, smooth and twist your hair into a variety of shapes and textures to create your signature look. Show your hair who is in charge with CHI Twisted Fabric Finishing Paste! Packed with vitamins and emollients to moisturize your hair, this product provides a brilliant shiny finish as you style without the oily residue.